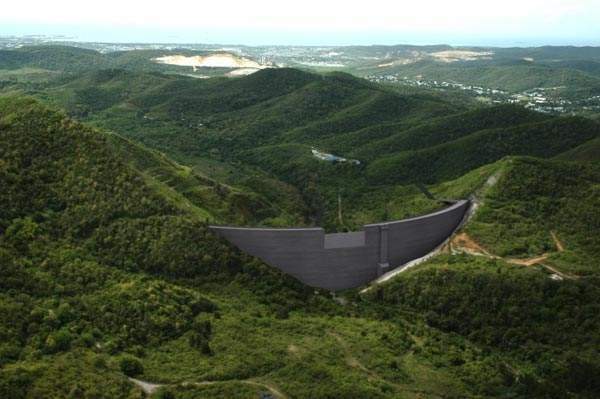 Artistic rendering of the Portugues Dam in Puerto Rico. Image courtesy of US Army Corps of Engineers, Jacksonville District. 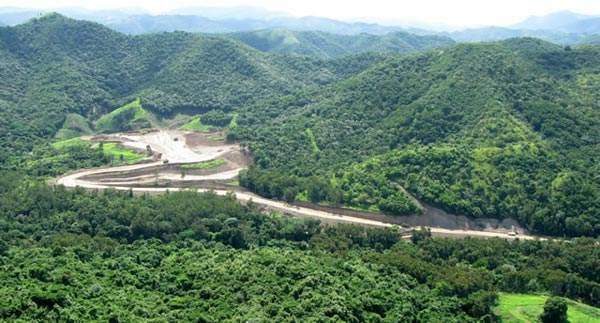 Foundation works of the Portugues Dam project. Image courtesy of US Army Corps of Engineers, Jacksonville District. The Portugues Dam became operational in 2014. Image courtesy of US Army Corps of Engineers, Jacksonville District. The dam is 220ft-high, with a crest length of 1,230ft. Aerial view of the dam's construction site. Image courtesy of US Army Corps of Engineers, Jacksonville District. As the first thick-arch, roller-compacted concrete (RCC) dam in the US and Caribbean, the Portugues Dam was constructed as part of the Portugues and Rio Bucana rivers flood control and recreation project. The dam is located on the Portugues River on the south side of the island of Puerto Rico and north of the city / municipality of Ponce. The dam protects 40,000 people, 13,000 residential structures and 1,833 acres of urban areas from flooding. It also provides standard project flood (SPF) protection, water supply and recreation to the Ponce area and its neighbourhood. The dam was built at a cost of $386m. The construction was completed in February 2014. The steep mountain slopes of the Ponce region cause the rainwater to flow directly into the river, in turn leading to it overflowing and causing floods in the surrounding areas. A dam was proposed to be built on the river to achieve flood control. The dam is located in the foothills between the low coastal plain of Puerto Rico in the south and the Cordillera Central mountain range. The location was finalised in the 1980s after receiving the core borings, which rotated the footprint on the left side of the dam providing a better foundation for the dam. Excavation works were carried out from 1995 to 1997, removing 350,000 cubic yards of earth. The drilling work and grouting of the dam followed. The foundation structure and excavation works were however stopped in 1999, and the project was halted due to the cost of construction exceeding the estimated budget. Construction work was resumed in 2008 after a fully redesigned structure was proposed. 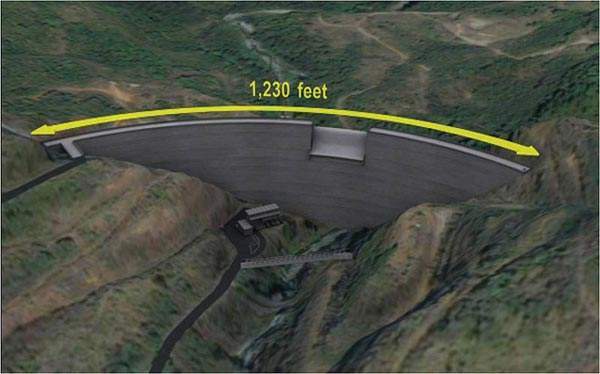 The double-curvature thin arch dam was altered to a single-centred RCC thick-arch dam, resulting in reduction of the construction costs. Designed by the US Army Corps of Engineers, the dam is 220ft-high with a crest length of 1,230ft. It includes a 145ft crest spillway, intake structure, a valve house and a control room. It also includes a reservoir for water supply, recreational spaces and an access road running between the dam and the valve room. Construction was divided into two phases. The first phase, which began in April 2008, targeted flood control, whereas the second phase included the construction of water supply infrastructure, recreation facilities and roads. The project required 367,000 cubic yards of RCC works and 60,000 cubic yards of excavation. Dental concrete was used in surfaces where RCC was not placed. The US Army Corps of Engineers provided the design of the dam and also manages its construction. 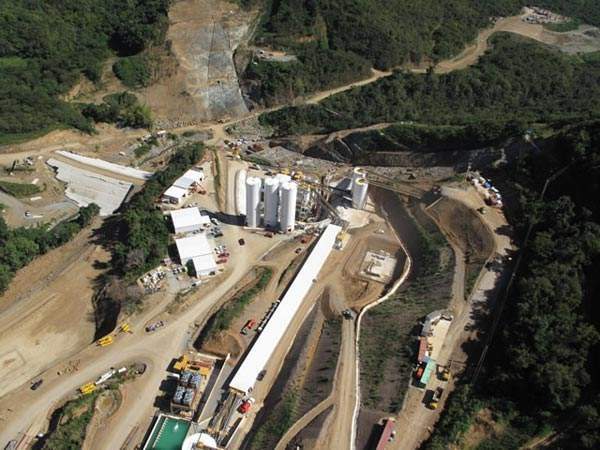 The $180m dam construction contract was awarded to Dragados USA in 2008. Kleinfelder was responsible for managing and setting up of the on-site laboratory of the US Army Corps of Engineers, staffing the laboratory and providing material testing services. 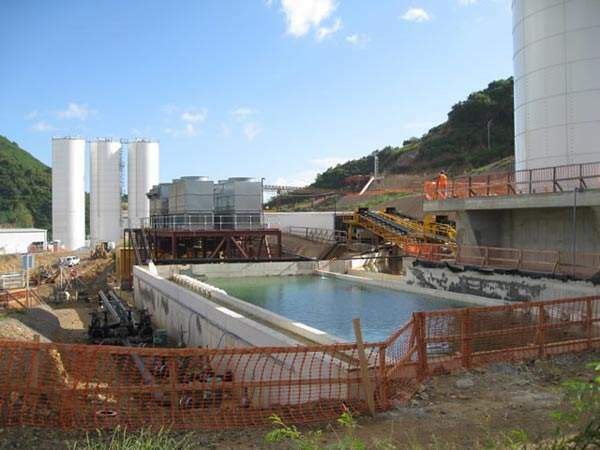 The US Federal Government and the Puerto Rico Government respectively shared 75% and 25% of the project costs. The Puerto Rican Department of Natural and Environmental Resources (DNER) was the local sponsor of the project. Since our establishment in 1989, Yooil has built an excellent reputation by commissioning and supervising more than 200 custom-designed rubber dam projects.